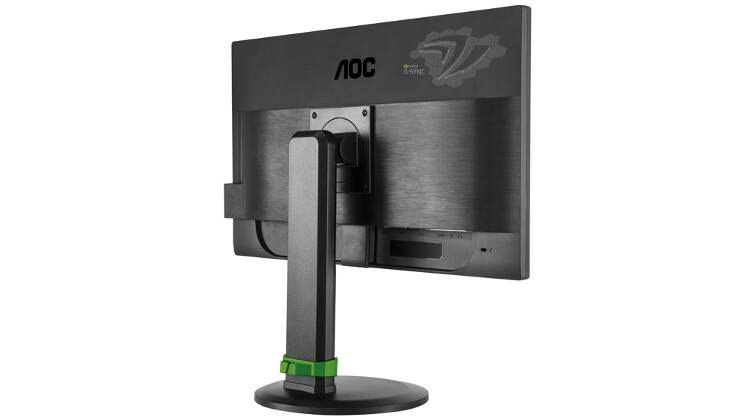 With the g2460Pg, display specialist AOC introduces a new premium gaming monitor with an impressive array of high-end technological features for a true state-of-the-art gaming experience. 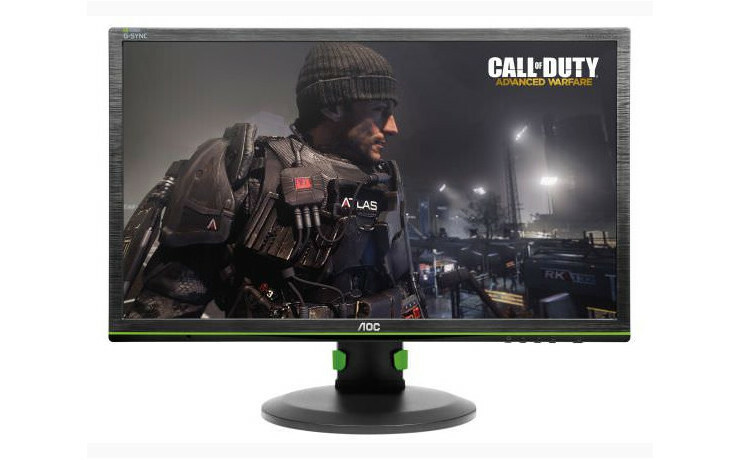 Thanks to the integrated NVIDIA G-SYNC technology, the AOC g2460Pg immerses the player into intense gaming action without lag, as control inputs are reflected on-screen instantly. An ultra-smooth refresh rate of 144 Hz, an outstanding response time of only 1 ms and super-fast DisplayPort input enhance the experience even further, effectively eliminating motion blur and screen tearing. In order to create a perfect environment for gamers, the g2460Pg boasts a Full HD widescreen TN panel with the ideal gaming size of 24" (61 cm). Just as the award-winning g2460Pqu myUltraSpeed, the new g2460Pg from AOC's Style Line boasts an extensive array of impressive specs in order to offer a true state-of-the-art gaming experience. The extremely short response time of just 1 ms effectively eliminates ghosting effects, guaranteeing crisp and clear images even in the most intense in-game situations. This way, the player is left without the distraction of motion blur, and can fully focus on the action. This competitive advantage over other players is even enhanced by the outstandingly quick refresh rate of 144 Hz. The g2460Pg redraws the screen more than twice as fast as conventional 60 Hz displays, making eye fatigue and screen tearing problems of the past. Gone are the days of missed targets because of stuttering images that can occur on monitors with low refresh rates. In addition, the integrated DisplayPort connector is the ideal input option for fast and seamless image transmission. Not only do the in-game environments come to life in one super-smooth movement, but also at a 1920 x 1080 Full HD resolution and in vibrant, bright colours, thanks to a luminosity of 350 cd/cm². To immerse the player even more into the game, the g2460Pg boasts the innovative new G-SYNC technology from expert graphics card manufacturer NVIDIA. The G-SYNC module built into the monitor takes gaming to a new level by synchronising the display refresh rates to the graphics card's GPU. This way, nothing comes between the player and the game anymore, as control inputs are reflected immediately on-screen, creating a true real-time experience with no lag. Eliminating distractions is key to succeed in any game. A desktop cluttered with cables can distract the player and compromise the immersion into the game world. The g2460Pg takes care of this issue, with a nifty cable guide on the stand. A wide array of ergonomic options such as tilt, swivel, height-adjustment and pivot empower gamers to adapt the monitor to their individual needs. The screen size of 24" (61 cm) is ideal for hard-core gamers used to sitting close to the screen during extended play sessions. In addition, the integrated USB 3.0 and 2.0 ports allow for fast data transfer, charging mobile devices or other tasks. The g2460Pg's impressive performance does not come at the cost of sustainability. It comes with the intelligent software solutions Eco Mode and e-Saver to drive down energy consumption. The display also fulfills strict regulations such as EnergyStar 6.0 and TCO 6.0. 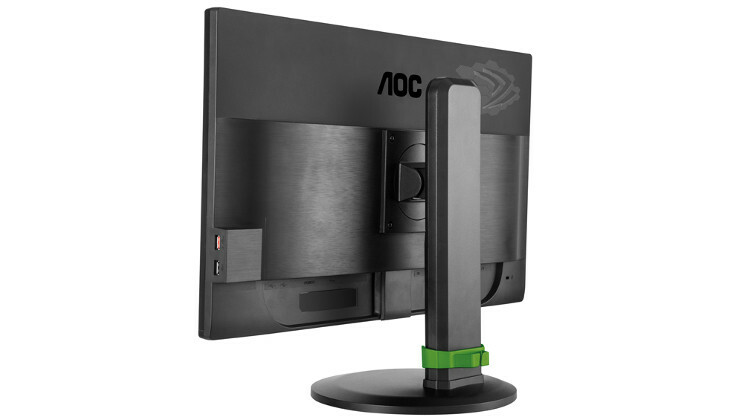 As with all of its monitors, AOC offers a 3 year warranty with on-site exchange service.